Product prices and availability are accurate as of 2019-04-25 20:48:00 GMT and are subject to change. Any price and availability information displayed on http://www.amazon.com/ at the time of purchase will apply to the purchase of this product. 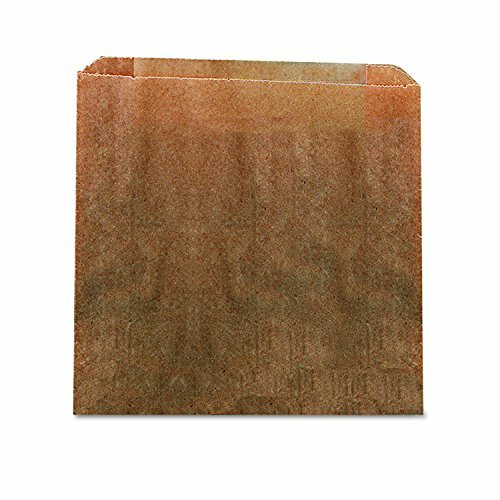 The Hospeco HS-6141 disposable brown paper liner is wax-coated to resist moisture and leaks and it is suitable for use in feminine hygiene receptacles. It is compatible with Hospeco HS-6140WP, HS-6140W, HS6140, and other receptacles (sold separately). This paper liner measures 10 x 9 x 3.25 inches (H x W x D). (H is height, the vertical distance from lowest to highest point; W is width, the horizontal distance from left to right; D is depth, the horizontal distance from front to back.) It comes in one case of 250 liners.